Tetzcoco was one of the most important cities of the pre-Hispanic Aztec Empire. When the Spaniards arrived in 1519, the indigenous hereditary nobles that governed Tetzcoco faced both opportunities and challenges, and were forced to adapt from the very moment of contact. This book examines how the city's nobility navigated this tumultuous period of conquest and colonialism, and negotiated a place for themselves under Spanish rule. 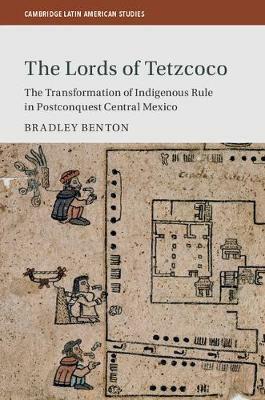 While Tetzcoco's native nobles experienced a remarkable degree of continuity with the pre-contact period, especially in the first few decades after conquest, various forces and issues, such as changing access to economic resources, interethnic marriage, and intra-familial conflict, transformed Tetzcoco's ruling family into colonial subjects by the century's end.